Ready to change up what you’re driving? Check out the new Toyota crossovers, SUVs, and trucks available now at Findlay Toyota. It’s the best of all worlds with Toyota’s lineup. Whether you want something compact and efficient, a fun family SUV, or a truck that can handle tough workloads, Toyota has the answer for you. We carry a huge variety of models and styles, so you have plenty to choose from. Explore our inventory of 567 Toyota crossovers, SUVs, and trucks below. LE trim. Brake Actuated Limited Slip Differential, Back-Up Camera, Auxiliary Audio Input, Multi-Zone A/C, Bluetooth Connection. EPA 31 MPG Hwy/27 MPG City! Warranty 5 yrs/60k Miles - Drivetrain Warranty; READ MORE!======KEY FEATURES INCLUDE: Back-Up Camera, Auxiliary Audio Input, Bluetooth Connection, Multi-Zone A/C, Brake Actuated Limited Slip Differential. Rear Spoiler, MP3 Player, Keyless Entry, Child Safety Locks, Steering Wheel Audio Controls. ======EXPERTS ARE SAYING: Great Gas Mileage: 31 MPG Hwy. Fuel economy calculations based on original manufacturer data for trim engine configuration. Please confirm the accuracy of the included equipment by calling us prior to purchase. LE trim. FUEL EFFICIENT 31 MPG Hwy/27 MPG City! Brake Actuated Limited Slip Differential, Back-Up Camera, iPod/MP3 Input, Dual Zone A/C, Bluetooth. Warranty 5 yrs/60k Miles - Drivetrain Warranty; CLICK ME!======KEY FEATURES INCLUDE: Back-Up Camera, iPod/MP3 Input, Bluetooth, Dual Zone A/C, Brake Actuated Limited Slip Differential. Rear Spoiler, MP3 Player, Keyless Entry, Steering Wheel Controls, Child Safety Locks. ======EXPERTS RAVE: Great Gas Mileage: 31 MPG Hwy. Fuel economy calculations based on original manufacturer data for trim engine configuration. Please confirm the accuracy of the included equipment by calling us prior to purchase. LE trim, MAGNETIC GRAY METALLIC exterior and BLACK interior. Smart Device Integration, ROOF RACK CROSS BARS, Back-Up Camera, iPod/MP3 Input, Lane Keeping Assist, Onboard Communications System. CLICK NOW!======KEY FEATURES INCLUDE: Back-Up Camera, iPod/MP3 Input, Onboard Communications System, Lane Keeping Assist, Smart Device Integration Rear Spoiler, MP3 Player, Privacy Glass, Keyless Entry, Steering Wheel Controls. ======OPTION PACKAGES: ROOF RACK CROSS BARS. Toyota LE with MAGNETIC GRAY METALLIC exterior and BLACK interior features a 4 Cylinder Engine with 203 HP at 6600 RPM*. Horsepower calculations based on trim engine configuration. Please confirm the accuracy of the included equipment by calling us prior to purchase. Smart Device Integration, ROOF RACK CROSS BARS, Back-Up Camera, iPod/MP3 Input, Lane Keeping Assist, Onboard Communications System. SUPER WHITE exterior and BLACK interior, LE trim. Warranty 5 yrs/60k Miles - Drivetrain Warranty; CLICK ME!======KEY FEATURES INCLUDE: Back-Up Camera, iPod/MP3 Input, Onboard Communications System, Lane Keeping Assist, Smart Device Integration Rear Spoiler, MP3 Player, Privacy Glass, Keyless Entry, Steering Wheel Controls. ======OPTION PACKAGES: ROOF RACK CROSS BARS. Toyota LE with SUPER WHITE exterior and BLACK interior features a 4 Cylinder Engine with 203 HP at 6600 RPM*. Horsepower calculations based on trim engine configuration. Please confirm the accuracy of the included equipment by calling us prior to purchase. SUPER WHITE exterior and BLACK interior, LE trim. FUEL EFFICIENT 35 MPG Hwy/26 MPG City! Smart Device Integration, Lane Keeping Assist, ALL WEATHER LINER PACKAGE, ROOF RACK CROSS BARS, Back-Up Camera, Onboard Communications System CLICK ME!======KEY FEATURES INCLUDE: Back-Up Camera, iPod/MP3 Input, Onboard Communications System, Lane Keeping Assist, Smart Device Integration. Rear Spoiler, MP3 Player, Keyless Entry, Privacy Glass, Child Safety Locks. ======OPTION PACKAGES: ROOF RACK CROSS BARS, ALL WEATHER LINER PACKAGE Cargo Liner, All Weather Floor Liners. Toyota LE with SUPER WHITE exterior and BLACK interior features a 4 Cylinder Engine with 203 HP at 6600 RPM*. ======VEHICLE REVIEWS: Great Gas Mileage: 35 MPG Hwy. Horsepower calculations based on trim engine configuration. Fuel economy calculations based on original manufacturer data for trim engine configuration. Please confirm the accuracy of the included equipment by calling us prior to purchase. LE trim, SUPER WHITE exterior and BLACK interior. Smart Device Integration, Lane Keeping Assist, ALL WEATHER LINER PACKAGE, ROOF RACK CROSS BARS, Back-Up Camera, Onboard Communications System. EPA 35 MPG Hwy/26 MPG City! CLICK ME!======KEY FEATURES INCLUDE: Back-Up Camera, iPod/MP3 Input, Onboard Communications System, Lane Keeping Assist, Smart Device Integration Rear Spoiler, MP3 Player, Keyless Entry, Privacy Glass, Child Safety Locks. ======OPTION PACKAGES: ROOF RACK CROSS BARS, ALL WEATHER LINER PACKAGE Cargo Liner, All Weather Floor Liners. Toyota LE with SUPER WHITE exterior and BLACK interior features a 4 Cylinder Engine with 203 HP at 6600 RPM*. ======EXPERTS CONCLUDE: Great Gas Mileage: 35 MPG Hwy. Horsepower calculations based on trim engine configuration. Fuel economy calculations based on original manufacturer data for trim engine configuration. Please confirm the accuracy of the included equipment by calling us prior to purchase. SUPER WHITE exterior and BLACK interior, LE trim. Smart Device Integration, Lane Keeping Assist, ALL WEATHER LINER PACKAGE, ROOF RACK CROSS BARS, Back-Up Camera, Onboard Communications System. EPA 35 MPG Hwy/26 MPG City! CLICK ME!======KEY FEATURES INCLUDE: Back-Up Camera, iPod/MP3 Input, Onboard Communications System, Lane Keeping Assist, Smart Device Integration Rear Spoiler, MP3 Player, Keyless Entry, Privacy Glass, Child Safety Locks. ======OPTION PACKAGES: ROOF RACK CROSS BARS, ALL WEATHER LINER PACKAGE Cargo Liner, All Weather Floor Liners. Toyota LE with SUPER WHITE exterior and BLACK interior features a 4 Cylinder Engine with 203 HP at 6600 RPM*. ======EXPERTS REPORT: Great Gas Mileage: 35 MPG Hwy. Horsepower calculations based on trim engine configuration. Fuel economy calculations based on original manufacturer data for trim engine configuration. Please confirm the accuracy of the included equipment by calling us prior to purchase. EPA 35 MPG Hwy/26 MPG City! SUPER WHITE exterior and BLACK interior, LE trim. Lane Keeping Assist, Smart Device Integration, ALL WEATHER LINER PACKAGE, ROOF RACK CROSS BARS, Back-Up Camera, Onboard Communications System CLICK NOW!======KEY FEATURES INCLUDE: Back-Up Camera, iPod/MP3 Input, Onboard Communications System, Lane Keeping Assist, Smart Device Integration Rear Spoiler, MP3 Player, Keyless Entry, Privacy Glass, Child Safety Locks. ======OPTION PACKAGES: ROOF RACK CROSS BARS, ALL WEATHER LINER PACKAGE Cargo Liner, All Weather Floor Liners. Toyota LE with SUPER WHITE exterior and BLACK interior features a 4 Cylinder Engine with 203 HP at 6600 RPM*. ======EXPERTS CONCLUDE: Great Gas Mileage: 35 MPG Hwy. Horsepower calculations based on trim engine configuration. Fuel economy calculations based on original manufacturer data for trim engine configuration. Please confirm the accuracy of the included equipment by calling us prior to purchase. EPA 35 MPG Hwy/26 MPG City! LE trim, SILVER SKY METALLIC exterior and BLACK interior. Smart Device Integration, Lane Keeping Assist, ALL WEATHER LINER PACKAGE (DISCONTINU... ROOF RACK CROSS BARS, Back-Up Camera, iPod/MP3 Input SEE MORE!======KEY FEATURES INCLUDE: Back-Up Camera, iPod/MP3 Input, Onboard Communications System, Lane Keeping Assist, Smart Device Integration. Rear Spoiler, MP3 Player, Keyless Entry, Privacy Glass, Child Safety Locks. ======OPTION PACKAGES: ROOF RACK CROSS BARS, ALL WEATHER LINER PACKAGE (DISCONTINUED) Cargo Liner, All Weather Floor Liners. Toyota LE with SILVER SKY METALLIC exterior and BLACK interior features a 4 Cylinder Engine with 203 HP at 6600 RPM*. ======EXPERTS ARE SAYING: Great Gas Mileage: 35 MPG Hwy. Horsepower calculations based on trim engine configuration. Fuel economy calculations based on original manufacturer data for trim engine configuration. Please confirm the accuracy of the included equipment by calling us prior to purchase. Smart Device Integration, ROOF RACK CROSS BARS, Back-Up Camera, iPod/MP3 Input, Lane Keeping Assist, Onboard Communications System. LE trim, SUPER WHITE exterior and BLACK interior. EPA 35 MPG Hwy/26 MPG City! READ MORE!======KEY FEATURES INCLUDE: Back-Up Camera, iPod/MP3 Input, Onboard Communications System, Lane Keeping Assist, Smart Device Integration. Rear Spoiler, MP3 Player, Privacy Glass, Keyless Entry, Steering Wheel Controls. ======OPTION PACKAGES: ROOF RACK CROSS BARS. Toyota LE with SUPER WHITE exterior and BLACK interior features a 4 Cylinder Engine with 203 HP at 6600 RPM*. ======EXPERTS RAVE: Great Gas Mileage: 35 MPG Hwy. Horsepower calculations based on trim engine configuration. Fuel economy calculations based on original manufacturer data for trim engine configuration. Please confirm the accuracy of the included equipment by calling us prior to purchase. SUPER WHITE exterior and BLACK interior, LE trim. FUEL EFFICIENT 35 MPG Hwy/26 MPG City! Smart Device Integration, ROOF RACK CROSS BARS, Back-Up Camera, iPod/MP3 Input, Lane Keeping Assist, Onboard Communications System CLICK NOW!======KEY FEATURES INCLUDE: Back-Up Camera, iPod/MP3 Input, Onboard Communications System, Lane Keeping Assist, Smart Device Integration Rear Spoiler, MP3 Player, Privacy Glass, Keyless Entry, Steering Wheel Controls. ======OPTION PACKAGES: ROOF RACK CROSS BARS. Toyota LE with SUPER WHITE exterior and BLACK interior features a 4 Cylinder Engine with 203 HP at 6600 RPM*. ======EXPERTS REPORT: Great Gas Mileage: 35 MPG Hwy. Horsepower calculations based on trim engine configuration. Fuel economy calculations based on original manufacturer data for trim engine configuration. Please confirm the accuracy of the included equipment by calling us prior to purchase. LE trim, MAGNETIC GRAY METALLIC exterior and BLACK interior. EPA 35 MPG Hwy/26 MPG City! Smart Device Integration, Lane Keeping Assist, ALL WEATHER LINER PACKAGE (DISCONTINU... ROOF RACK CROSS BARS, Back-Up Camera, iPod/MP3 Input CLICK NOW!======KEY FEATURES INCLUDE: Back-Up Camera, iPod/MP3 Input, Onboard Communications System, Lane Keeping Assist, Smart Device Integration Rear Spoiler, MP3 Player, Keyless Entry, Privacy Glass, Child Safety Locks. ======OPTION PACKAGES: ROOF RACK CROSS BARS, ALL WEATHER LINER PACKAGE (DISCONTINUED) Cargo Liner, All Weather Floor Liners. Toyota LE with MAGNETIC GRAY METALLIC exterior and BLACK interior features a 4 Cylinder Engine with 203 HP at 6600 RPM*. ======EXPERTS ARE SAYING: Great Gas Mileage: 35 MPG Hwy. Horsepower calculations based on trim engine configuration. Fuel economy calculations based on original manufacturer data for trim engine configuration. Please confirm the accuracy of the included equipment by calling us prior to purchase. LE trim. iPod/MP3 Input, Back-Up Camera, Onboard Communications System, Smart Device Integration, Lane Keeping Assist. FUEL EFFICIENT 35 MPG Hwy/26 MPG City! Warranty 5 yrs/60k Miles - Drivetrain Warranty; READ MORE!======KEY FEATURES INCLUDE: Back-Up Camera, iPod/MP3 Input, Onboard Communications System, Lane Keeping Assist, Smart Device Integration. Rear Spoiler, MP3 Player, Privacy Glass, Keyless Entry, Steering Wheel Controls. ======EXPERTS ARE SAYING: Edmunds.com's review says ''The RAV4 has one of the most spacious cabins in the segment drivers and adult passengers should have plenty of room.''. Great Gas Mileage: 35 MPG Hwy. Fuel economy calculations based on original manufacturer data for trim engine configuration. Please confirm the accuracy of the included equipment by calling us prior to purchase. LE trim. EPA 35 MPG Hwy/26 MPG City! iPod/MP3 Input, Back-Up Camera, Lane Keeping Assist, Smart Device Integration, Onboard Communications System. Warranty 5 yrs/60k Miles - Drivetrain Warranty; SEE MORE!======KEY FEATURES INCLUDE: Back-Up Camera, iPod/MP3 Input, Onboard Communications System, Lane Keeping Assist, Smart Device Integration Rear Spoiler, MP3 Player, Privacy Glass, Keyless Entry, Steering Wheel Controls. ======EXPERTS CONCLUDE: Edmunds.com explains ''The RAV4 has one of the most spacious cabins in the segment drivers and adult passengers should have plenty of room.''. Great Gas Mileage: 35 MPG Hwy. Fuel economy calculations based on original manufacturer data for trim engine configuration. Please confirm the accuracy of the included equipment by calling us prior to purchase. LE trim. Back-Up Camera, iPod/MP3 Input, Onboard Communications System, Smart Device Integration, Lane Keeping Assist. FUEL EFFICIENT 35 MPG Hwy/26 MPG City! Warranty 5 yrs/60k Miles - Drivetrain Warranty; CLICK ME!======KEY FEATURES INCLUDE: Back-Up Camera, iPod/MP3 Input, Onboard Communications System, Lane Keeping Assist, Smart Device Integration Rear Spoiler, MP3 Player, Privacy Glass, Keyless Entry, Steering Wheel Controls. ======EXPERTS CONCLUDE: Edmunds.com's review says ''The RAV4 has one of the most spacious cabins in the segment drivers and adult passengers should have plenty of room.''. Great Gas Mileage: 35 MPG Hwy. Fuel economy calculations based on original manufacturer data for trim engine configuration. Please confirm the accuracy of the included equipment by calling us prior to purchase. EPA 35 MPG Hwy/26 MPG City! Back-Up Camera, Onboard Communications System, Lane Keeping Assist, Smart Device Integration, iPod/MP3 Input. LE trim. Warranty 5 yrs/60k Miles - Drivetrain Warranty; AND MORE!======KEY FEATURES INCLUDE: Back-Up Camera, iPod/MP3 Input, Onboard Communications System, Lane Keeping Assist, Smart Device Integration Rear Spoiler, MP3 Player, Privacy Glass, Keyless Entry, Steering Wheel Controls. ======VEHICLE REVIEWS: ''The RAV4 has one of the most spacious cabins in the segment drivers and adult passengers should have plenty of room.'' -Edmunds.com. Great Gas Mileage: 35 MPG Hwy. Fuel economy calculations based on original manufacturer data for trim engine configuration. Please confirm the accuracy of the included equipment by calling us prior to purchase. LE trim. Back-Up Camera, Auxiliary Audio Input, Telematics, Lane Keeping Assist, Brake Actuated Limited Slip Differential. FUEL EFFICIENT 35 MPG Hwy/26 MPG City! Warranty 5 yrs/60k Miles - Drivetrain Warranty; AND MORE!======KEY FEATURES INCLUDE: Back-Up Camera, Auxiliary Audio Input, Telematics, Lane Keeping Assist, Brake Actuated Limited Slip Differential. Rear Spoiler, MP3 Player, Keyless Entry, Privacy Glass, Steering Wheel Audio Controls. ======EXPERTS RAVE: Edmunds.com's review says ''The RAV4 has one of the most spacious cabins in the segment drivers and adult passengers should have plenty of room.''. Great Gas Mileage: 35 MPG Hwy. Fuel economy calculations based on original manufacturer data for trim engine configuration. Please confirm the accuracy of the included equipment by calling us prior to purchase. LE trim. EPA 35 MPG Hwy/26 MPG City! Back-Up Camera, iPod/MP3 Input, Onboard Communications System, Smart Device Integration, Lane Keeping Assist. Warranty 5 yrs/60k Miles - Drivetrain Warranty; READ MORE!======KEY FEATURES INCLUDE: Back-Up Camera, iPod/MP3 Input, Onboard Communications System, Lane Keeping Assist, Smart Device Integration Rear Spoiler, MP3 Player, Privacy Glass, Keyless Entry, Steering Wheel Controls. ======VEHICLE REVIEWS: Edmunds.com's review says ''The RAV4 has one of the most spacious cabins in the segment drivers and adult passengers should have plenty of room.''. Great Gas Mileage: 35 MPG Hwy. Fuel economy calculations based on original manufacturer data for trim engine configuration. Please confirm the accuracy of the included equipment by calling us prior to purchase. Buying a new vehicle is a huge investment, and at Findlay Toyota, we understand how you feel. We focus on creating an experience that our customers feel good about, and it starts with taking the time to educate you on your options and how they’ll work with your budget. We’ll get you behind the wheel of a great crossover, SUV, or truck, and you’ll be on your way to weekend adventures before you know it! 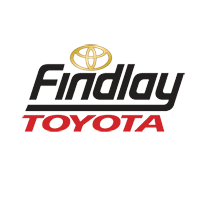 Schedule your appointment with Findlay Toyota today!